Le Charme Sukhothai Resort is located in an ideal location right in the old city of Sukhothai – Thailand´s first kingdom. It is only a kilometer away from Sukhothai Historical Park, the ruins of Thailand first capital declared as a World Heritage Site by UNESCO – the major landmark that draws travellers to Sukhothai. The concept of this charming hotel in Sukhothai is capturing the splendor of a bygone age and represents it with an inspiration to offer a unique retreat of lively contemporary Sukhothai village resort style. The resort is embraced by flowering lotus ponds and tropical green gardens spreading a satisfying ambience all around. The entire place is graced with lively Sukhothai contemporary interior decors. Fulfilling your vacation with our spa and Thai massage treatment. Our dining offers one of the best restaurants in Sukhothai. 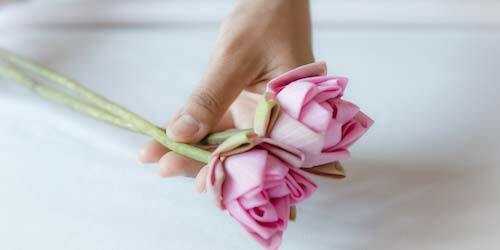 Le Charme Sukhothai spa uses herbal treatment to ensure you have relaxing and healthy holidays back home. 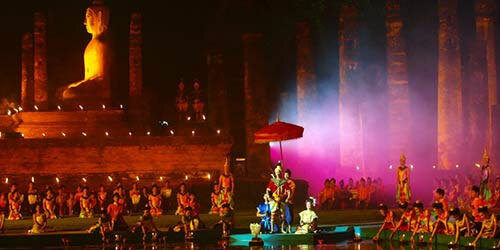 It is a true Heritage and treasure of hotels in Sukhothai Thailand. Located in the heart of the old town Sukhothai where the major tourist attraction, Sukhothai Historical Park, world heritage by UNESCO. A comfortable and beautiful stay near this heritage site giving the hotel a great plus point for international and local travelers. Being surrounded by charming lotus ponds and plenty of green vegetation around the resort, Le Charme Sukhothai is blessed with cool breeze all day long. This is a great value resort. The rooms are large, comfortable and clean, the grounds are gorgeous, and the amenities are excellent. There is a beautiful swimming pool, a nice bar, and a wonderful outdoor breakfast area that served good breakfasts. This is a very charming hotel located near Sukothai historic park. We stayed here as part of a package tour when our original accomdation fell through. The hotel consists of small wooden cottages containing two guest rooms each, with beautiful ponds and landscaping. This hotel is really one of the best in Thailand. I work in the hospitality industry since many years in this country and Le Charme Sukhothai is extremely charming... Excellent quality of service, nice Grand Deluxe room, very good housekeeping. They are very professional. Beautiful garden and clean swimming pool. The landscaping done by the architect of this property is outstanding. All bungalows have been built on the sore or in one of the artificial ponds. We had the cheapest category but it was still nice with a terrace and good sized bathroom. Many visitors go to Sukhothai to visit the historical park but end up in a hotel of "new" Sukhothai which is 12 kilometers away. 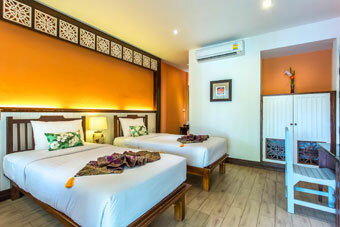 Le Charme is located in Old Sukhothai, just outside the old city walls. The landscaping done by the architect of this property is outstanding. Booked for three nights, stayed for six. A lovely resort consisting of large 'chalet type' rooms, swimming pool, restaurant and bar. Room had a balcony overlooking a lake, pleasant to sit out on with a few beers from local shops. Great location just 1km from the gates to the Historical Park and very friendly and helpful staff. Rooms are large and clean and the Deluxe had a good size balcony. Good restaurant on site and the Sinvana restaurant opposite. Overall, a very comfotable stay. firstly i have to say the rooms and buildings are constructed to a very high standard. having travelled extensively throughout Thailand i am familiar with the usual 'thai standard' of craftsmanship or lack thereof, however these rooms are very well constructed and very well maintained. We chose to stay at Le Charme because it was recommended by the Lonely Planet and because we wanted to be within close proximity to Sukhothai Historical Park. We really enjoyed our experience overall. A verdant oasis, close to the historical park. We stayed one night in Le Charme and were extremely satisfied with the hotel The place is really nice with ponds and lotuses all around the chalets in which the rooms are situated. The hotel is well situated and quite near the historical park. Excellent location, as the old city is less than 1 km away. Charming hotel very relaxing with ponds & flowers. Pool is very nice and fresh, with shadow and relaxing beds. The Le Charme Hotel was the perfect spot for exploring the Sukhothai Historic Park. While other hotels in the 'New Sukhothai' area looked nice, the Le Charme is a short cycle into the Historic Park, rather than a shuttle bus. My family and I stayed two nights during the New Year here. We were delight with very warm hospitality and resort environment in traditional Thai setting. The resort is spacious with Thai garden and lotus pond. Le Charme is Wonderful Hotel !!!!! Boutique hotel near Sukhothai Historical Park that is value for money for every traveler to spend a pleasant holidays in Sukhothai. Free WiFi. Great spa and Thai massage. Sukhothai airport is 45 min drive from the hotel.